In this essay, the Author – describing his own judicial and academic career, with special reference to his advanced studies, developed for about forty five years, in the field of the constitutional (and european) protection, and mainly concerning the access to the courts, the parties’ contradictory rights or the judges’ role in the trial’s direction – tries to draw up a short balance-sheet on the «fair process» («giusto processo», «equo processo») in italian civil justice. The obtained results, unfortunately, are not satisfactory at all, because the «fair process» – due to the courts’ unbearable overload, to the heavy litigation costs and the unreasonable time of the proceedings – is, in our judicial system, still so far, as to look like a mirage in the desert, turning too often into a justice denial or a late remedy refusal. KEY WORDS: fair process, fair trial, constitutional (and european) guarantees concerning civil justice, access to the courts. 1. Ringraziamenti e rilievi introduttivi. – 2. Ricordi e spunti tratti da personali esperienze. – 3. 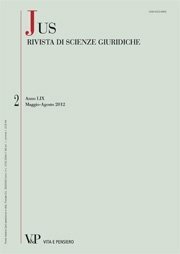 La concretizzazione in Italia delle garanzie costituzionali attinenti al «giusto processo». Illusioni, delusioni e perduranti speranze.